Desi Smith/Staff Photo. 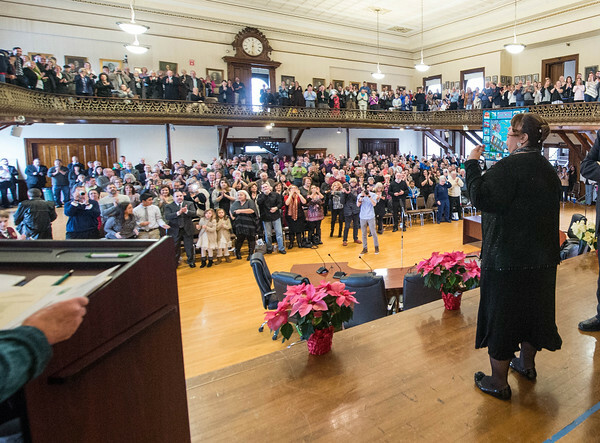 Mayor Sefatia Romeo Theken turns to acknowledges family, friends and her supporters just aftyer being sworn in by City Clerk Linda Lowe during the Inauguration Ceremony Friday afternoon at the Kyrouz Auditorium at City Hall. January 1,2016.